Safety First - For the Humans and the Dogs! This is an extremely important topic, so we wanted to address it in depth. We have taken TONS of precautions for the safety of the dogs. Rest assured...the Seadogs will be SAFE at sea! First, we have the Outward Hound Dog Life Jackets (https://amzn.to/2LMu6qz) and also tethers (https://amzn.to/2uY6iqq ) to keep them attached to the ship. These are not specific for sailing, but we did extensive research with other sailors who sail with dogs and this is the brand that was consistently recommended to us! We also have harnesses that can also attach be attached to the tethers. (https://amzn.to/2Ar3dnA). 1) First and foremost it is to be avoided that crew members (two and four legged) go overboard! It is the deadliest of all dangers at sea. During my time in the navy, I have experienced how quickly that can end fatal. So we have a storm-worthy sea railing and a heavy duty sea fence. Also we have 275 N offshore life vests from Spinlock (https://amzn.to/2mVfdnY) and high-quality life jackets for our four-legged crew. The 275 N Spinlocks are SOLAS approved, automatic, twin chamber lifejackets and equipped with Luke-On automatic illumination lights. During heavy weather we span lines from stern to bow in which the safety lines will be clutched. This gives us freedom to move over the deck without losing connection to the ship in case a crashing sea knocks us off our feet. The dogs have their own lines, too, however during heavy weather they’ll stay below. 2) Once a crew member goes overboard it is essential that the rest of the crew is alerted IMMEDIATELY. We use a MOBi (Man Overboard Indicator) from NASA Marine (https://amzn.to/2mTCFSH ). It’s a fail-safe transponder system that consists of a base unit and up to eight active transponders for crew. 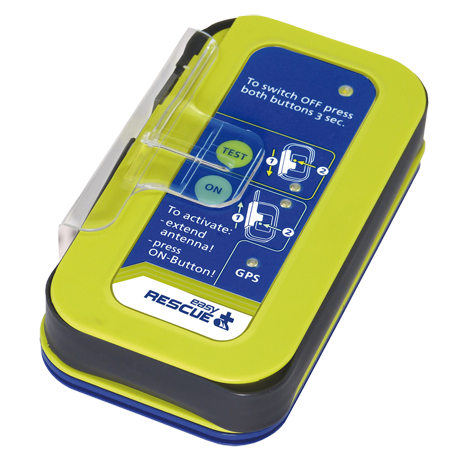 As soon as the base unit detects a drop in signal level it sounds a high intensity alarm to get everybody on board aware of the situation. The transponders are named so a quick glance on the base unit shows who has gone overboard. On SV SEEFALKE all two- and four-legged crew are wearing the MOBi transponder. 3) Once the crew (on board) is aware of the MOB situation it needs to be made sure that they know the position of the person (or dog) in the water to be able to commence the rescue maneuver. For this reason the two-legged part of the crew is equipped with a personal AIS (Automated Identification System) SART (Search And Rescue Transponder) emergency beacon. We are using easyRescue from Weatherdock (https://www.easyais.com/en/easyrescue-ais-sart/ ). It is certified by SOLAS and USCG (among others) and has a built-in GPS receiver and once activated it triggers and alarm on all AIS enabled chart plotters in VHF range. These are at least all commercial ships, but also most seagoing sailing vessels. The signal includes exact geographic position and the course and speed of the person in the water. In case we need to abandon ship or the ship sinks we also have an EPIRB (Emergency Position Indicating RadioBeacon). 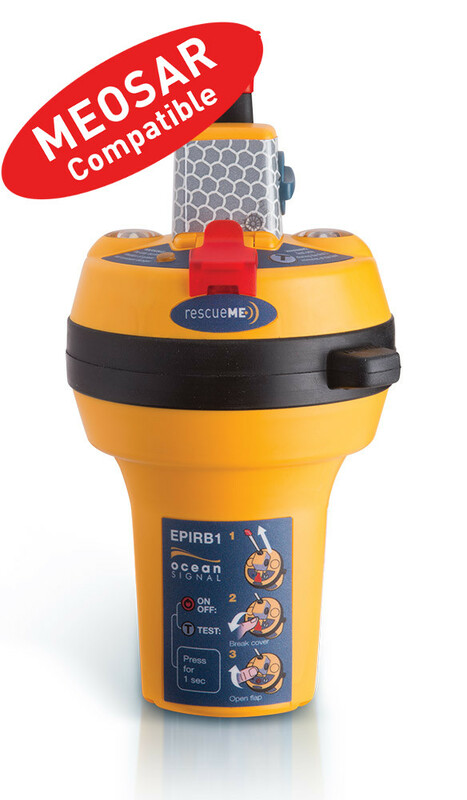 We are using the EPIRB1 from Ocean Signal (https://amzn.to/2v2wArf ). Once activated it transmits position, name, MMSI (Maritime Mobile Service Identity) and call-sign of the ship in distress on 406 MHz frequency using communication satellite network. This signal is monitored by COSPAS-SARSAT, an international program that relays the information to the responsible SAR (Search And Rescue) organization for the area. To be precise not everyone on board has an EPIRB—there is only one for the entire ship. It is internationally registered and directly connected to the ship. We have many other safety equipment items on board, and there will be a whole separate blog about it. Thanks, Pamela for your question, and rest assured… we are taking every precaution to keep ourselves and the Seadogs safe at sea. Our vet at Magnolia by the Gulf Animal Clinic even prepared a very thorough doggie First Aid kit just for Cap'n Jack and Scout. We will be posting a video soon about some of this. It will include a detailed description of the contents of the First Aid kit! Please keep the questions and comments coming. And be sure to let us know of any ideas you have for topics we should cover during our journey.